Although roller skating is seen by the general public as an outdated activity, which currently undergoes a slight comeback because of its retro-ish character, it was always promoted in black communities. The African-American roller-skating scene is thriving, but as vibrant and widespread as it is overlooked. The documentary United Skates is the result of first-time directors Dyana Winkler and Tina Brown’s five years deep-dive into the this roller skating culture. 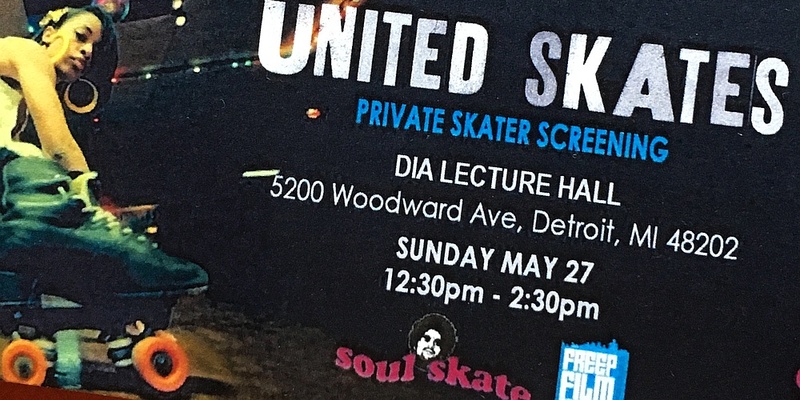 I had the opportunity to watch the movie in Detroit on the occasion of Soul Skate 2018 – a skate party celebrating the African-American style skating. The movie provides an insight into this culture – and the threats it faces by the decline in number of roller rinks and rink owners’ covert racism. Credit must be given to the filmmakers for merging of three entangled aspects. The history of African-American roller skating, which is decisive for understanding of the relevance to date. The continuous closing down of roller rinks in the US, as serve as a community space. The living culture by following individual skaters’ life. Reviewing the film and arranging it into the context of roller skating is nevertheless somewhat hard for me. I’m biased, both as a white guy, a roller skater, and with some insights and love into that urban skating culture. First of all: Dyana Winkler and Tina Brown created an emotional deep, touching depiction of black roller skating and a compelling case for keeping this alive. Thanks to the focus on three individual skaters, Phelicia Wright from Los Angeles, a mother of five whose family lives to skate, Reggie Brown, a roller skating activist from North Carolina, and Buddy Love, who runs a roller rink in Chicago, the entire range of African-American roller skating, and impact for the protagonists’ life is reflected. The movie gets an overwhelming backing from the African-American skaters’ community, originated from the history of black skating. The relation to skating was born during the civil rights era, when African-American fought to join roller rinks, against the rink owners, who were afraid of losing the revenue of white patrons. The relevance for the African-American culture is also shown in the movie by the connection to early hip-hop culture. Queen Latifah made some of her first West Coast appearances in a roller rink and Dr. Dre performed as a skate DJ in Compton. First live performance of the newly formed band NWA was also there. In interviews, Salt-N-Pepa, Naughty by Nature, Coolio and other icons of hip hop discuss their roller skating roots. Nevertheless the culture is endangered. Many rinks in the US face closure from city councils by rezoning, the changing of the nature and extent of the land use, to increase tax revenues and to exclude unalike crowds of black customers. 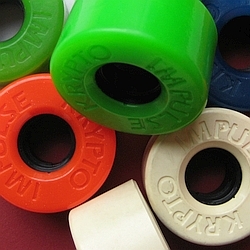 During the five years the production saw the closing of three roller rinks with mostly black audience, Skate Depot in Cerritos, CA, World Of Wheels in Los Angeles, and Rich City Skate near Chicago. Winkler and Brown demonstrate how skating provides a vital outlet for black kids and an alternative to delinquency. The United Skates documentary follows the owner of Rich City, Buddy Love and his struggle to keep the space open for the community, which finally failed. The movie shows also Reggie Brown’s activities, a dedicated skater from North Carolina, to convince rink owners about the benefits of adult skate nights both for their business and for the neighborhood. By focusing on individuals, the movie personalizes the culture, which from the outside and social media coverage looks like a big party with creative, energetic skaters. However I missed the wide range of social classes, generations, and lifes, which form the community and distinguish it from other subcultures. Because number of roller rinks is fading away and white rink owners’ intention for running a family entertainment business, weekend skate parties became an integral part of the African-American skating culture. Skaters are traveling every weekend to local, regional or national events, organized and promoted by skaters, with DJs out of the subculture. 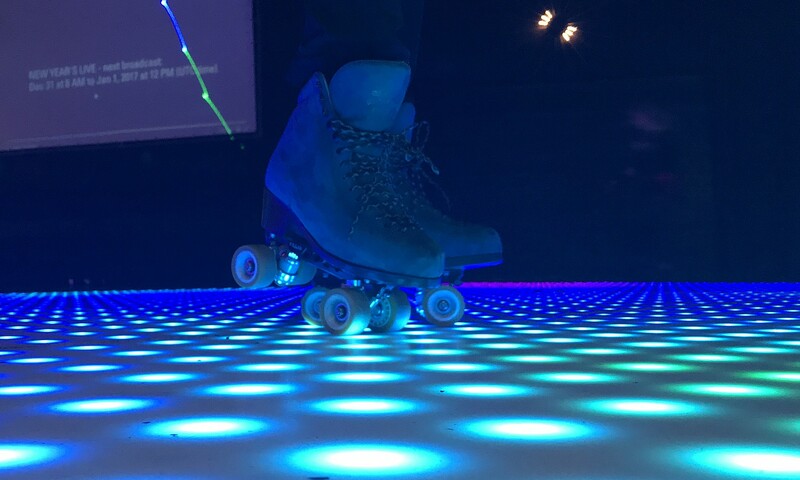 Although the most skating scenes in the movie were shot at these jams, this part of the black skating stayed in the shadow. Also I felt, that the significant influence that African-American roller skating communities had on American dance music genres like house, Miami bass, disco, funk, and beyond, wasn’t adequately acknowledged. But this stands for the diversity and the extent of the African-American skating, which cannot covered within 90 minutes. The film premiered at the Tribeca Film Festival in April and won the Audience Award. Currently United Skates tours through film festival around the globe. Watch out, when it comes to your area.